SUMMARY: This is a collection of 40 short stories. Many can be read in about a minute. The longer ones might take half an hour. Stories are divided into three sections — appetizers, entrees and desserts — to fit all tastes and appetites. Stories touch on a range of themes, including love, loss, generosity, renewal and the power of imagination. The subgenres are diverse — from romance and drama to science fiction and spirituality. In this book, I hope there’s something for everybody. THE BACK STORY: One of stories featured in the entrees section, “The Beauty Inside,” is a sequel to a story in my first collection, Get Back. That story is called “The Beauty in Things.” It’s a love story. Many readers asked me to write a sequel. I am delighted to serve up this second course. WHY THIS TITLE? : At some point, I began to think of all these stories as a meal. Thus, the title, Small Bites. I wanted each story to be “tasty,” and I wanted to offer enough stories to leave readers feeling nourished and wonderfully satisfied. WHY SOMEONE WOULD WANT TO READ IT: We’re all busy these days, but we all love a good story. I created Small Bites with busy people in mind. “Small Bites extends an invitation to the reader to grow, to move beyond. Small Bites suggests new worlds to explore: tender love, sci-fi, politics and prayer, the possi-bility of the impossible, sunrise and sunset, the sound of God’s breath! Prepare for aha moments in reading Small Bites. Don Tassone rivals O’Henry in the art of surprise end-ings, often endings that are the beginnings of the reader’s journey into deeper thinking.” — Patti Normile, author of Prayers for Caregivers. 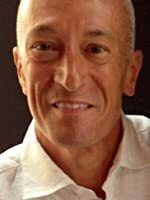 AUTHOR PROFILE: After a long career in the corporate world, Don Tassone has re-turned to his creative writing roots, living the passion for the written word which first led him to earn a degree in English. 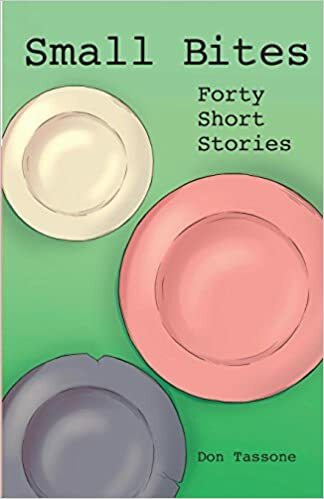 Small Bites is his third work of fiction, his second col-lection of short stories. His debut novel, Drive, and debut short story collection, Get Back, were published in 2017. Don also teaches public relations at Xavier University in Cincinnati. He and his wife Liz live in Loveland, Ohio. They have four children. AUTHOR COMMENTS: I write to make people think and feel more deeply. I hope the stories in “Small Bites” do that. CONTACT THE AUTHOR: My email is dptassone@gmail.com, and my personal web-site is dontassone.com.